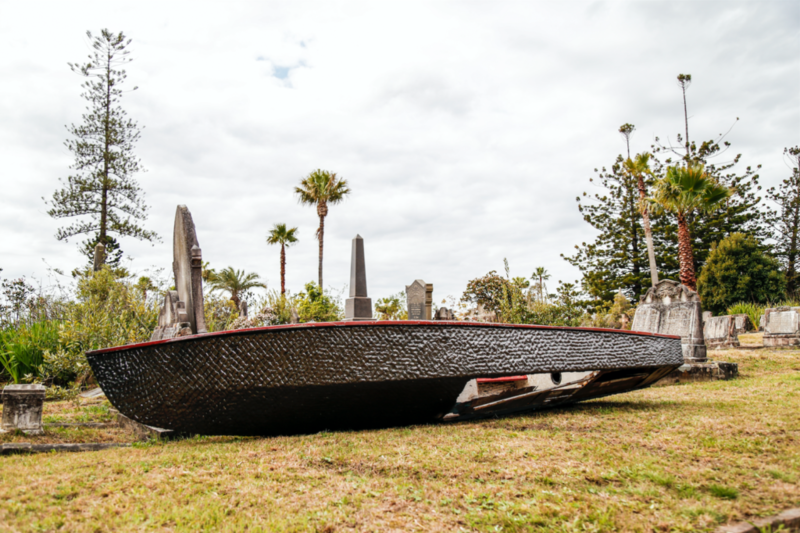 On 24 September, the iconic Sydney Rookwood Cemetery will officially launch HIDDEN – A Rookwood sculpture walk. Donita Hulme, one of the artists featured at HIDDEN draws inspiration from her Fijian heritage for her sculpture Qi Dau Vanumia Haraga (I am always remembering). Donita’s art practice is very focused on how South Pacific Islander tradition continues within Sydney suburbia. 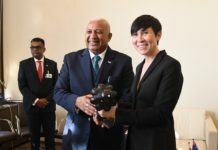 Her sculpture explores the ceremonies related to death and mourning in iTaukei culture, including the 100 nights of mourning for loved ones where remembrance, story telling and company help with grief. This year’s HIDDEN event (the 8th annual exhibition) has received the strongest and most diverse response from local, interstate and international artists. Over forty sculptures will be HIDDEN throughout one of the oldest sections of the heritage listed site, providing an opportunity for the community to experience the wonders of Rookwood in a new light. Running for 4 weeks from 23rd September – 23rd October, 2016, there is also a program of kids school holiday activities, walking tours, a garden launch party on Saturday 24 September and much more. 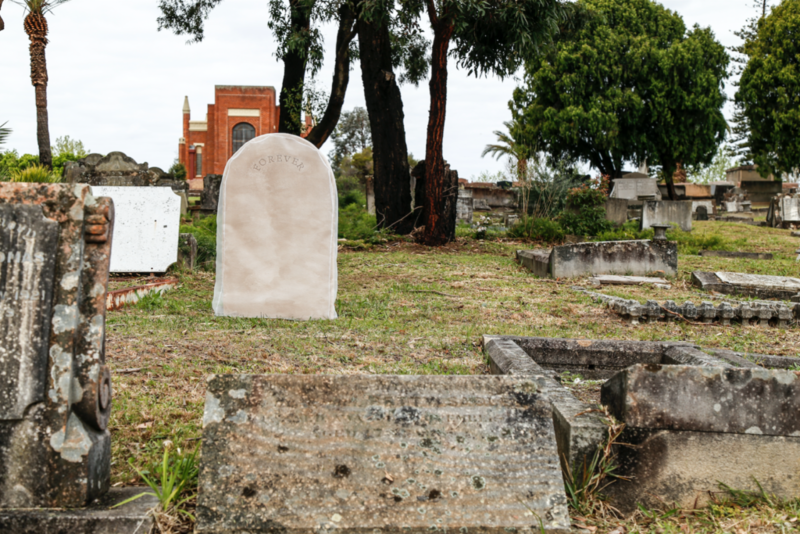 Rookwood is not only Australia’s largest cemetery, it is the largest in the southern hemisphere, covering an area larger than the Sydney CBD. Rookwood is trying to change people’s perception of cemeteries from a place for funerals and memorials to a place that celebrates life. The exhibition is an opportunity to capture people’s imagination and delve into the incredible stories and beautiful examples of different cultures.